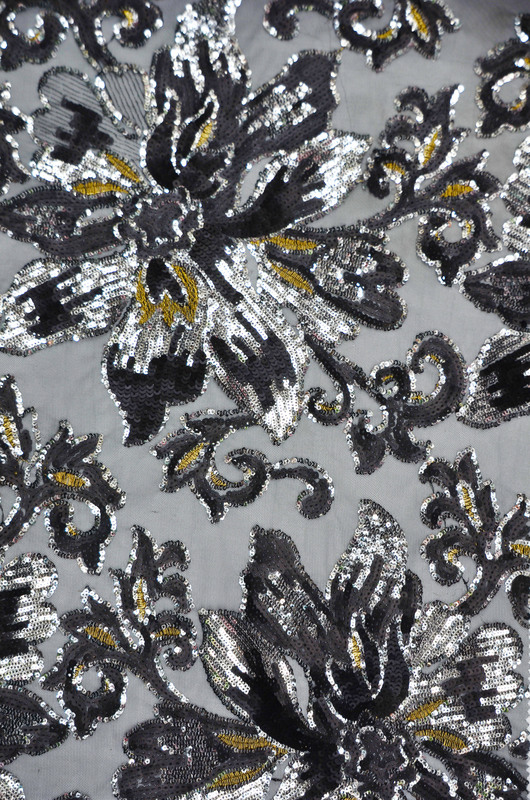 Order the Best Quality Classical Flower Sequins Embroidery Yards available in 7 different colors. 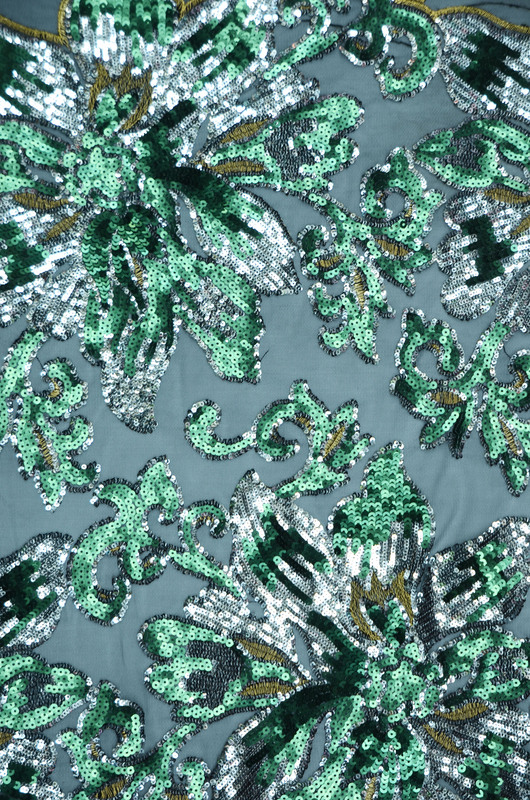 Picture Taken: Picture of Embroidery is taken over a basic Polyester Linen. 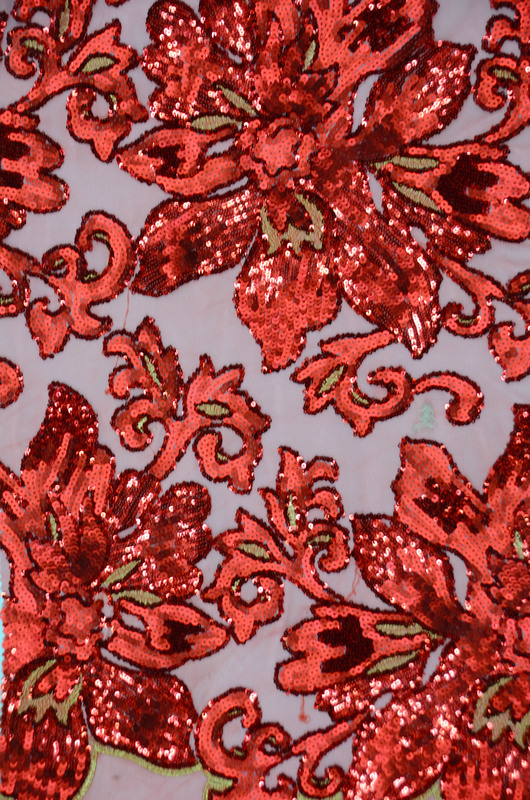 The Sequins in the Flower Create a full Embroidery Effect. All else is see through Mesh with matching netting to Sequins. 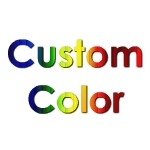 Please Order sample if you are in doubt of color selection. 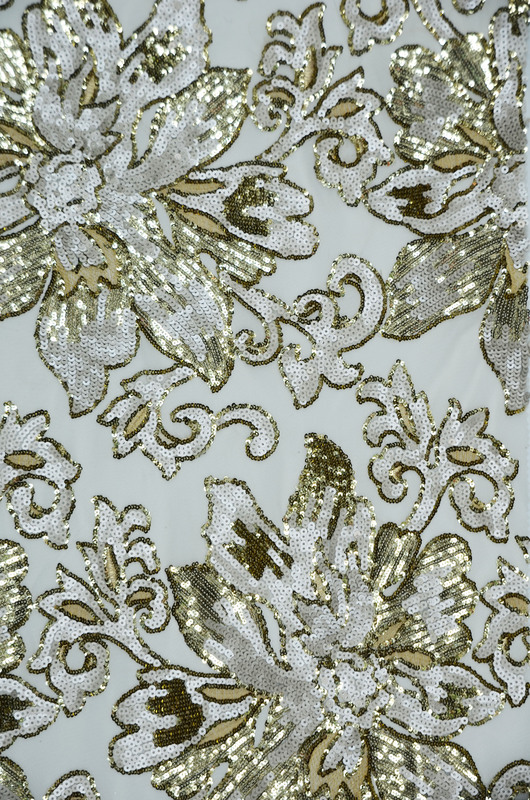 Fabric Description: Our Classical Flower Sequins Embroidery is our finest Mesh Embroidered embellishment. 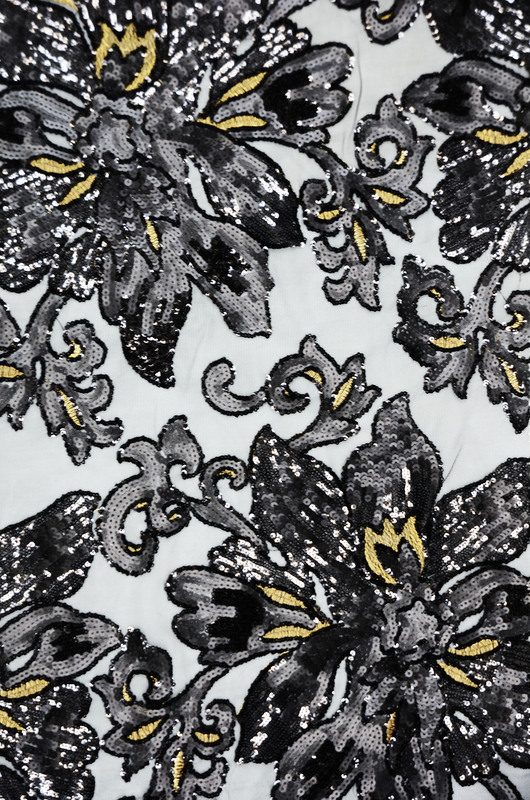 Flowers are created with full of Sequins in various tones and colors. All woven together to create a large of application. Great for Dresses and or overlays. Is this a Sheer or Solid Fabric? 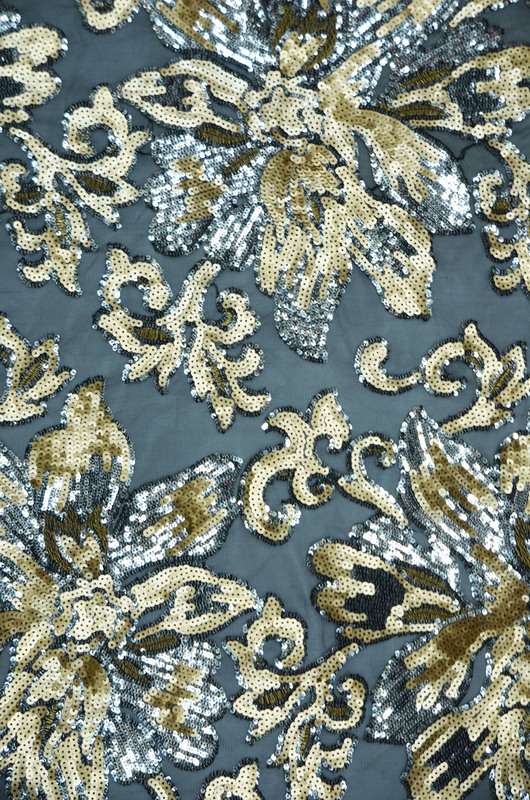 : This Fabric is Sheer. Fabric Weight: Medium weight with a soft hand feel. Great for tablecloths and dresses. We always suggest prewashing the linens before use. The Golden Rule to this suggest when you prewash fabrics, be consistent. For example, either prewash all your fabrics, or do not prewash at all. 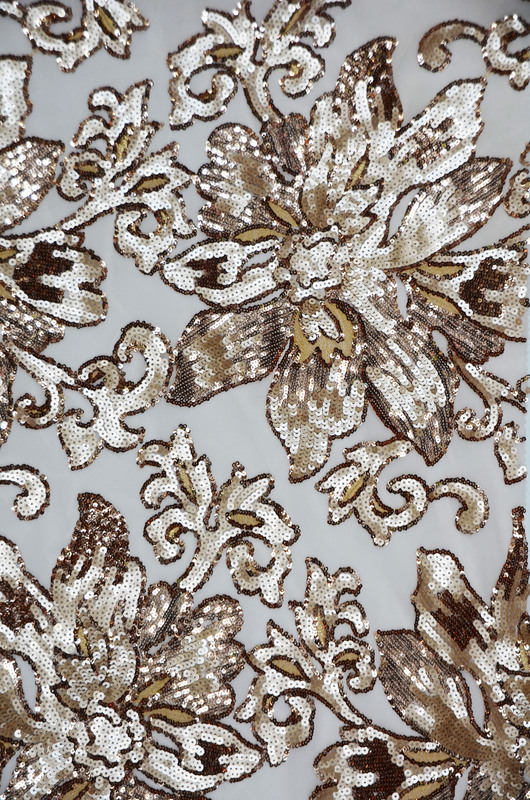 Classical Flower Sequins Embroidery is Dry Clean Only. We always suggest dry cleaning to preserve fabric life-cycle.